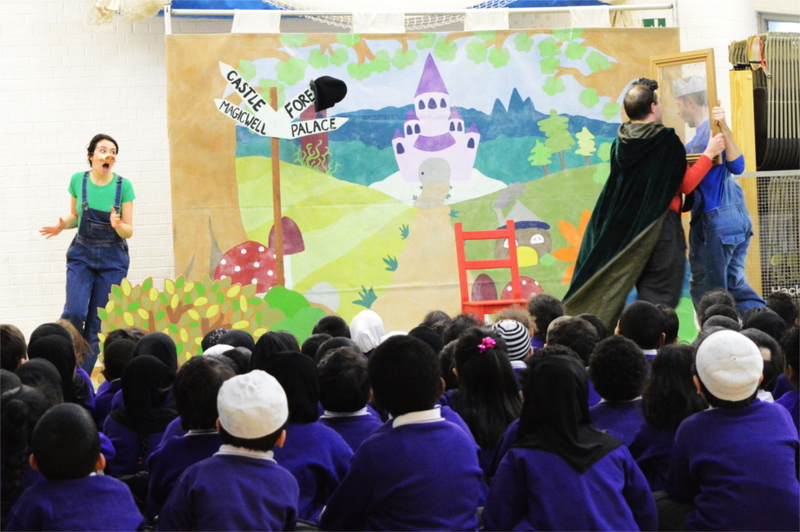 The Olive School Hackney children revelled in the delights of the riotous romp of Hobgoblin Theatre Company’s performance of The Greatest Fairy Tale Ever Told. In preparation for World Book Day (tomorrow), children have been engaged in a range of activities centred on literature and drama. The performance was a wonderful mishmash of several traditional English fairy tales including Snow White and the Three Little Pigs. It made for an unforgettable theatrical extravaganza . We’d like to thank Andy, Maia and Peter for their memorable and inspiring performance, and we look forward to the children’s costumes tomorrow for World Book Day! You can see more photos of the performance in our gallery section here.